As many of you already know, the month of October brings about a lot of excitement for children and adults alike. This is the month to set out all of the spooky decorations, carve the best pumpkin yet, eat some (or too much) of your favorite treats and spend days or weeks planning the perfect costume. October and the very special holiday, Halloween, also raise concerns for parents and children who suffer from food allergies and sensitivities. According to Food Allergy Research & Education (FARE), food allergy is a serious medical condition that affects 1 in 13 children here in U.S. and a total of about 15 million people. A food allergy is then triggered when the immune system targets an allergen (food protein) as a threat and attacks it. This attack involves the release histamines and other chemicals which set off an allergic reaction. 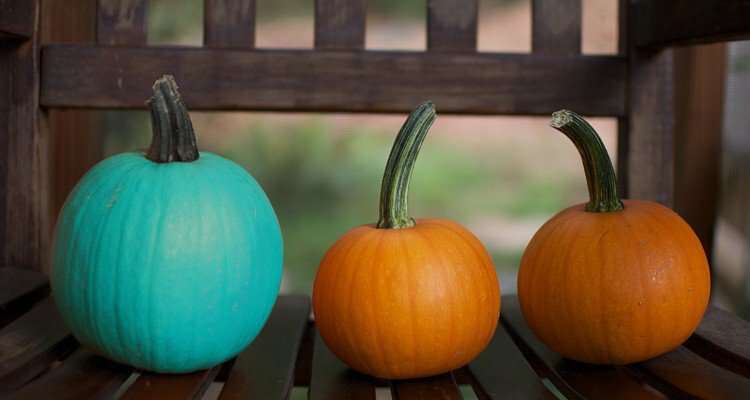 In 2014, FARE launched a national campaign, the Teal Pumpkin Project ™, to raise awareness of food allergies and promote inclusion of all trick-or-treaters throughout the Halloween season. If you are interested in participating in the movement, there are many ways to get involved. Some of these ways include: taking the pledge through the website; providing non-food treats and painting a teal pumpkin to indicate these non-food treats are available; or make a gift to FARE to support research, education, advocacy and awareness programs. A complete list of ideas can be seen under FARE’s Teal Pumpkin Project™ section on the website. Giving Foundation for Chidlren helps raise awareness!! Follow us on Facebook!